Amazon Zero Waste: a concept so simple, so attainable and something Amazon already implements in several countries outside of the United States. A few weeks ago I posted about the concept of Amazon Zero Waste and I was delighted to see how much support the idea received and how many caring people forwarded my letter template to the company or contacted them directly. Every once in a while I get asked if Amazon Zero Waste is still something I am pushing. And the answer is: absolutely 100% YES. I am still pushing AZ0 until it happens. Now, with the help and design from NewSoutherner.com, we have an awesome logo to help spread the message. 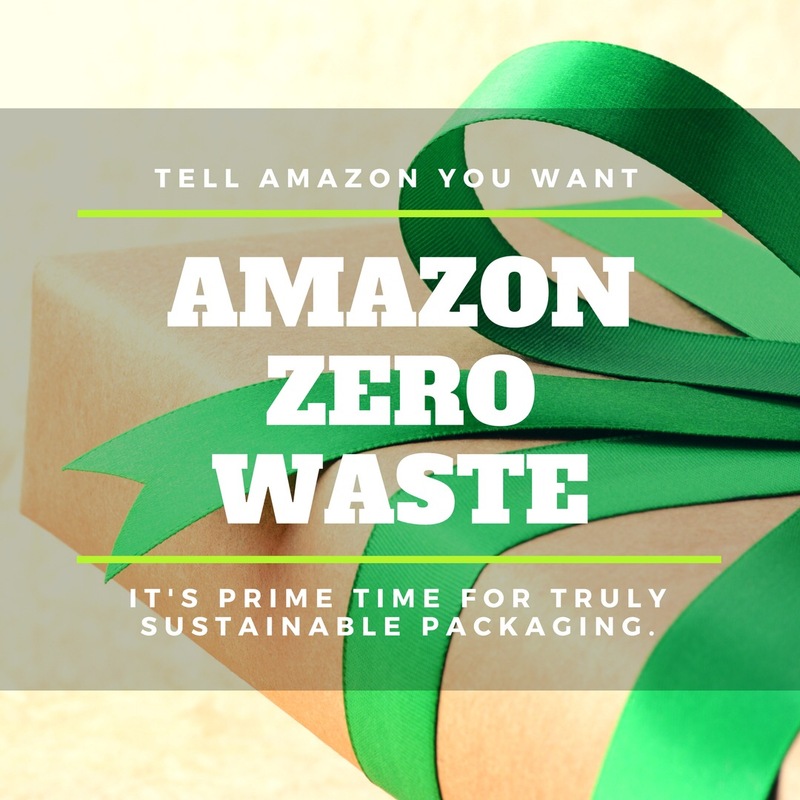 If you think this is important and that Amazon should only use sustainable packaging materials for shipping, please share this logo with the tag #AmazonZeroWaste. This IS possible. Amazon already does this for other countries who demanded it. It is time they implement Zero Waste shipping in the country they call home. Previous Post: The Era of Biological Annihilation.